May we in the Rotary Club of Great Missenden send you our heartfelt thanks for your tremendous support for the Shoe Box Scheme last Christmas. You and your children's support has meant a great deal to so many under-privileged children. We have just received from our depot in Preston the forwarded email. 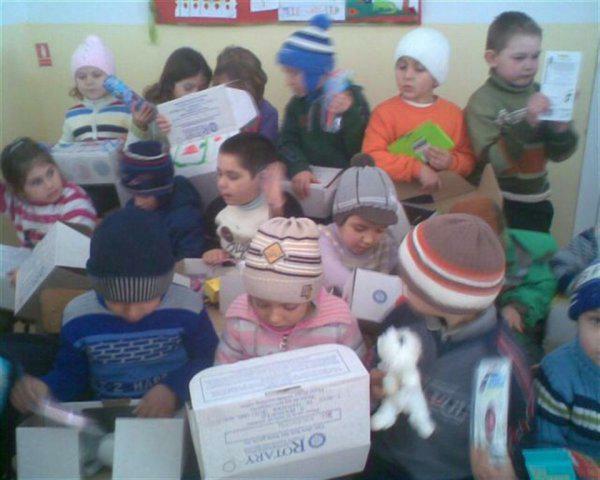 Your boxes went to Romania and the Ukraine. Also, do look into the Face book site for even more delightful pictures. From us all to everyone who helped in any way, big or small again, THANKYOU.